Each year I look forward to baking Matt a birthday cake. However, with a crazy toddler running between my legs and pulling out every pot and pan in the kitchen it’s really hard to find time (or patience) to whip up an elaborate cake these days. And believe me, as I was shopping for the ingredients for the cake, it crossed my mind several times throughout the trip to just throw a package of bakery cupcakes in my shopping cart and call it a day. After all, I could easily use the “but I’m 32454543 weeks pregnant” excuse to skip the baking, but ultimately decided at the checkout counter to continue on with the original plan. 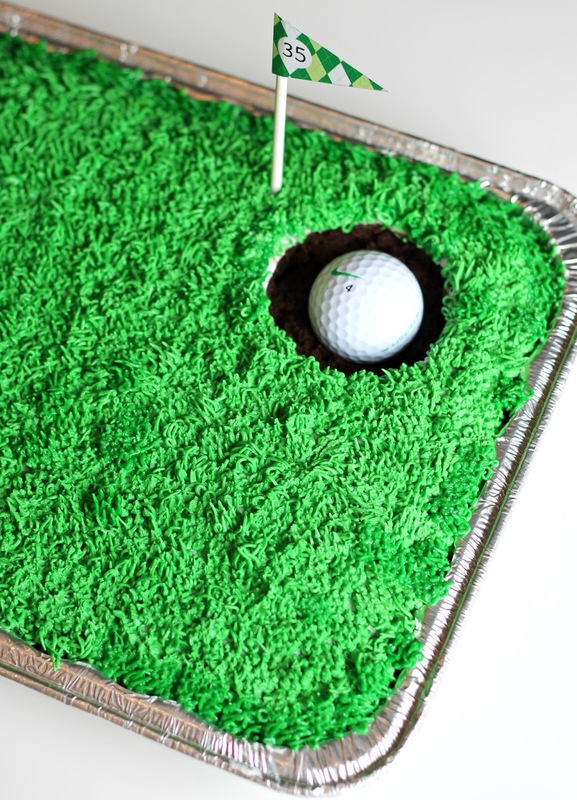 Believe it or not, this isn’t Matt’s first golf cake either. His mom surprised him at our rehearsal dinner with an incredible Caddyshack themed golf cake and he loved it! 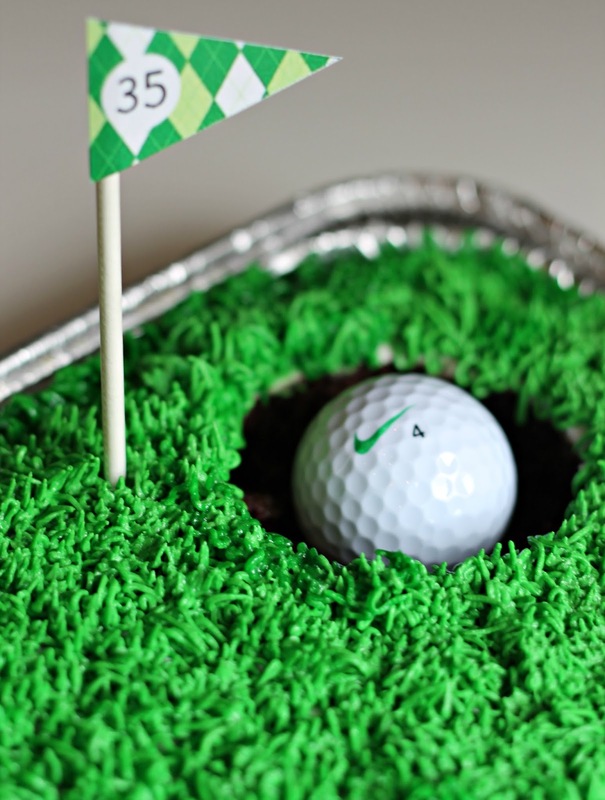 So I already knew a golf cake would be a guaranteed success if I could pull it off for his 35th birthday. Bake cake according to package directions. Note: I reduced the temperature from 350 to 325 degrees and added a few minutes of bake time to allow the cake to bake much slower so it would be flat instead of raising in the middle with a slight hump. 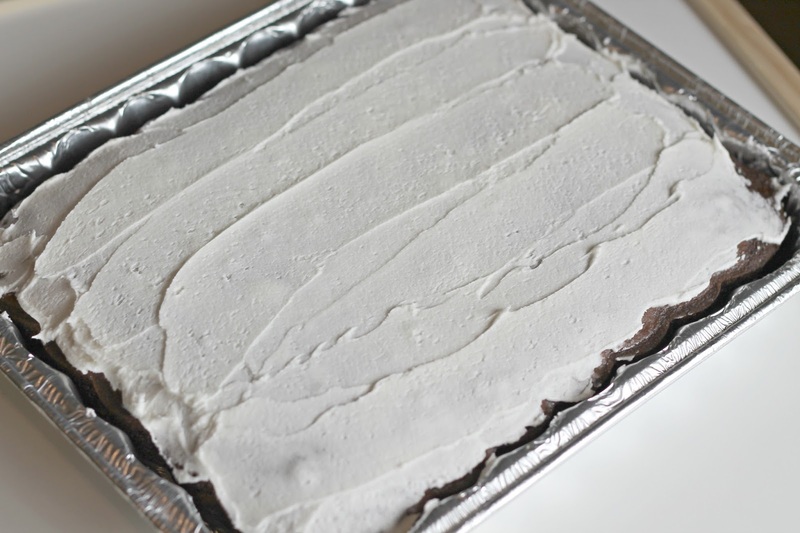 Make sure the cake cools completely before frosting. 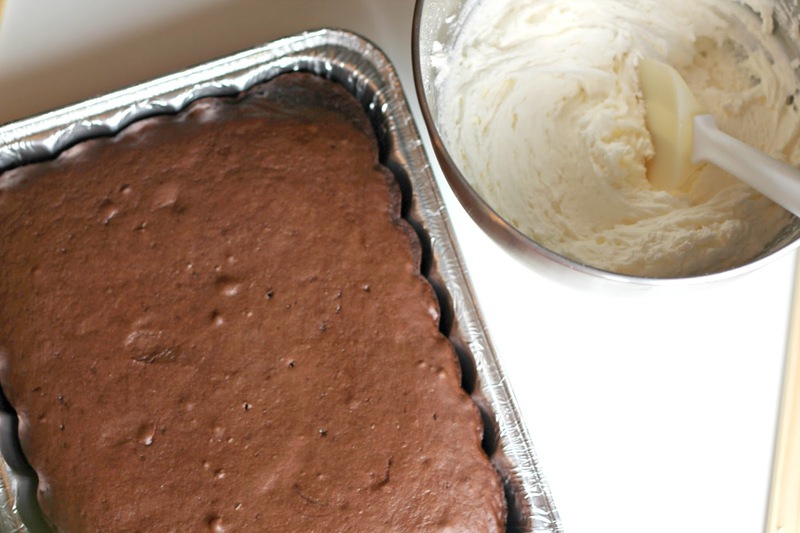 In fact, you can even bake your cake the day before if you want. able to hold a point. 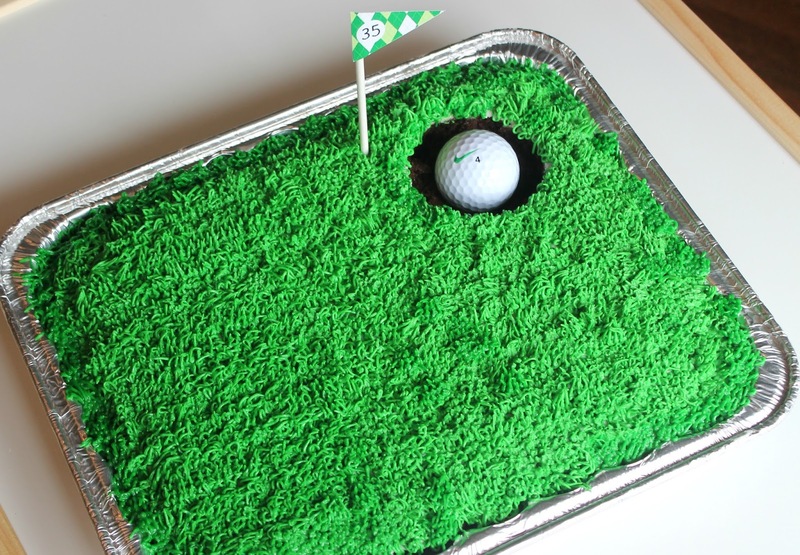 BEFORE you mix in the green coloring, spread a thin layer of frosting on top of the cake to create a “crumb coat” to seal in any loose crumbs and ensure the grass sticks to the cake. 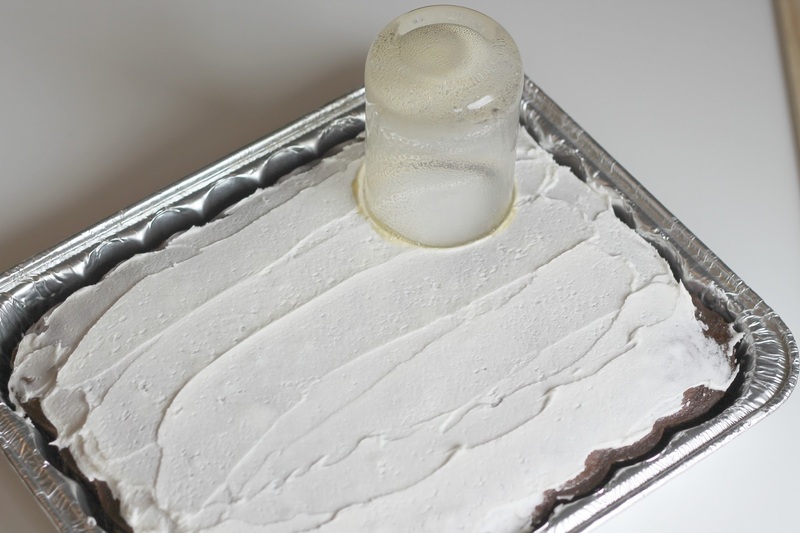 Add a 1/2 teaspoon of food coloring to your remaining icing. Feel free to add more until you’ve reached your desired grass color. 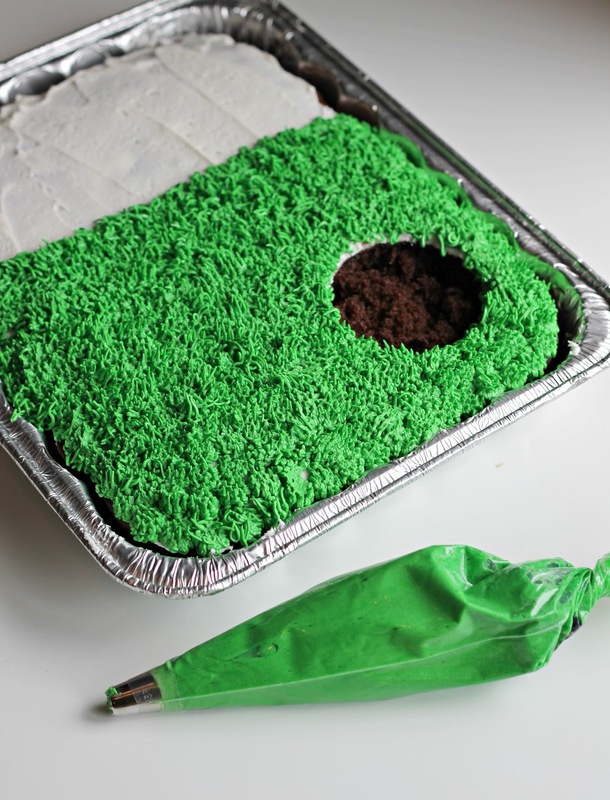 Scoop your frosting into a decorating bag (make sure the tip is in first) and begin creating your grass! This is truly a labor of love. 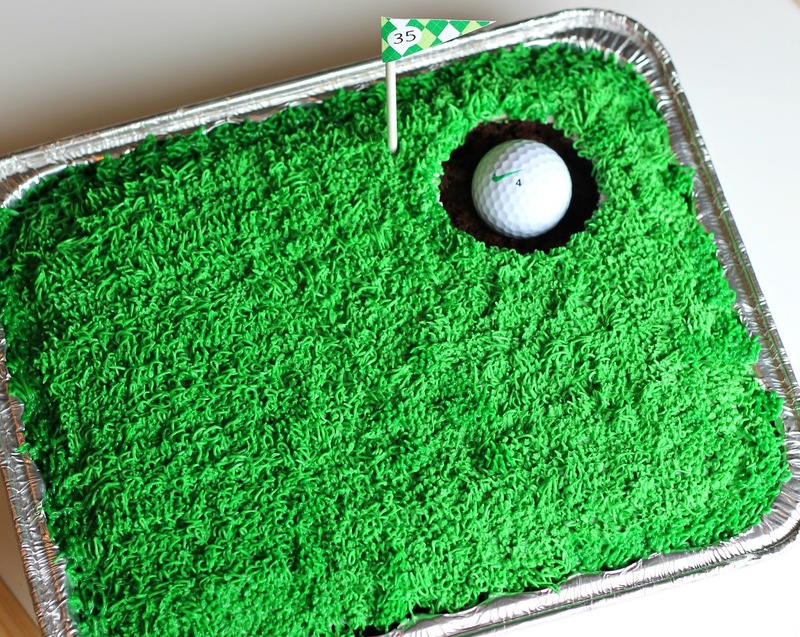 Once you’ve grassed your entire cake, plop a golf ball in the hole and add a flag! Other delicious birthday cakes I’ve baked for Matt include Summer Strawberry Coconut Cake and Easy Funfetti Double Layered Cake. Next Post Hair Bows, Hair Bows, Hair Bows! This is amazing!! I can't believe you had time to do that, I can't imagine doing anything that intense in my last month of pregnancy. Hope you are feeling good! A labor of love but so beautiful and delicious looking! so cute! I'm really impressed that you made that with a toddler and super pregnant! Lucky guy! Thanks for sharing all the details!! My dad's birthday was this weekend, but this will be making an appearance in our house for sure!!!! So cute! I know he loved it! This is so great… I think I may do this for my hubs next year! This looks so good! I took a couple cake decorating classes and they always stressed how much easier it is to add a crumb coat. 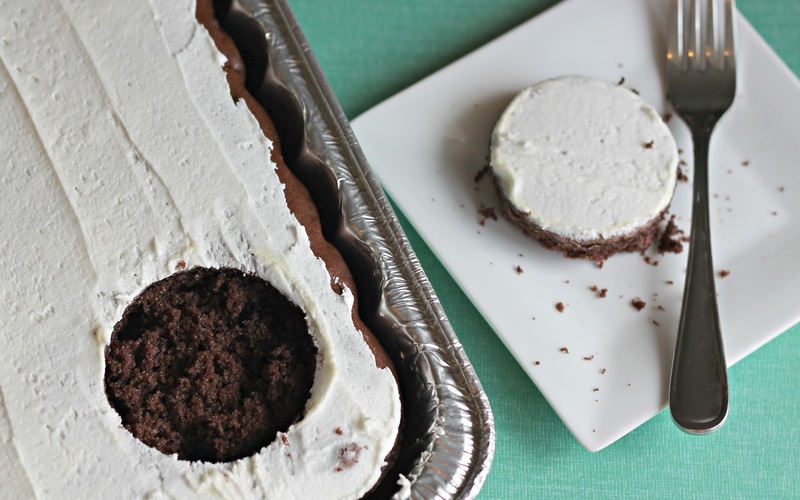 And to make sure to let your cake cool before adding any frosting! This turned out SO cute! You did a great job!! Question… have you ever done a monogram on a cake? I've decided to bake Jack's Baptism cake myself & just want to do something simple with his monogram in the middle. 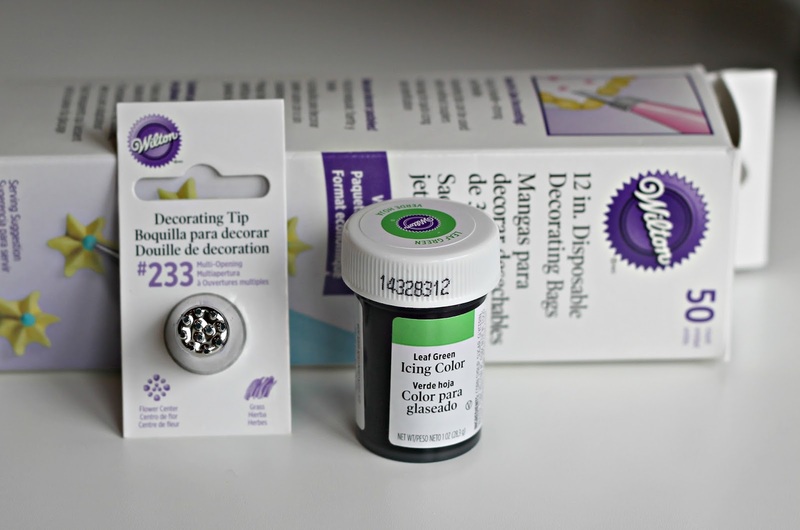 Didn't know if you might have any ideas or know where to find a good tip! Thanks!! 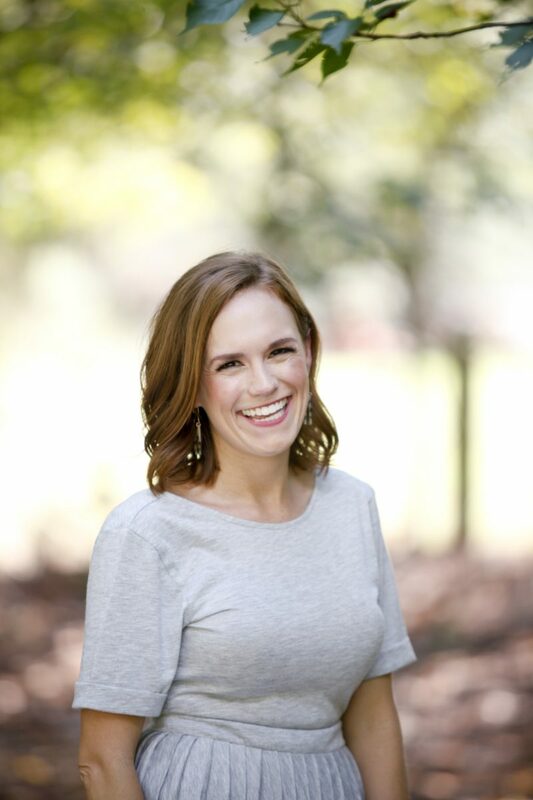 You are an AMAZING mommy AND wife! Yay you!